Like a curling tidal wave, the Nilgiri Mountains sweep up from the southwestern edge of the Deccan Plateau along Tamil Nadu, as part of the Western Ghats straddling the states of Kerala and Karnataka. Once the lofty domain of wild beasts and ancient tribes like the Todas, Badagas, Kotas, Irulas and Kurumbas, today the Nilgiris with its rolling tea plantations, scenic ridges and cool air adrift with the heady aroma of eucalyptus is a well-known holiday haunt. But it all began with a rumour. 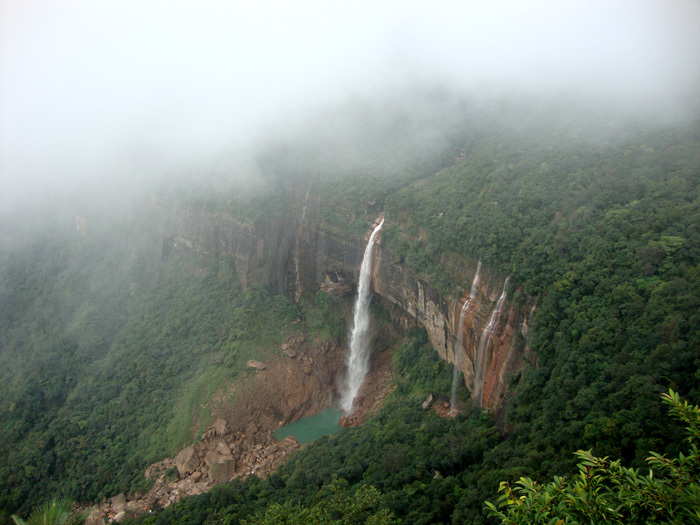 In 1819, the British East India Company ordered John Sullivan, the Collector of Coimbatore, to investigate “the fabulous tales concerning the Blue Mountains to verify their authenticity.” When Sullivan trail-blazed up the ‘Neilgherries’ and indeed discovered it to be a cool paradise comparable to Switzerland, he acquired land from local tribes. 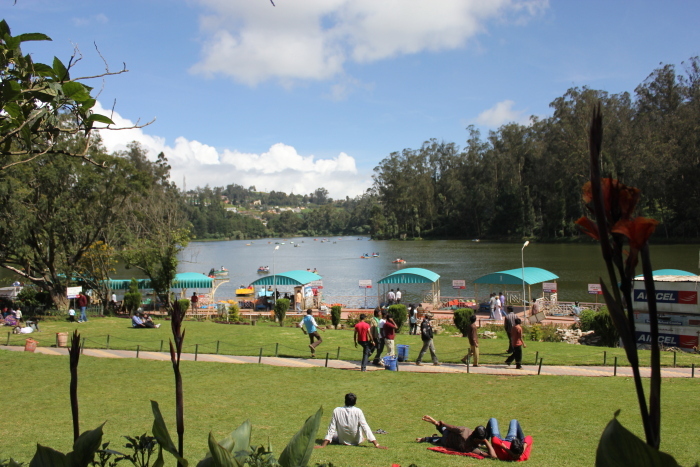 Soon, Ootacamund (or Ooty for short) became speckled with colonial bungalows and churches, snaking mountain roads, exotic vegetables and fruit farms and the seeds of a hill-station were planted. 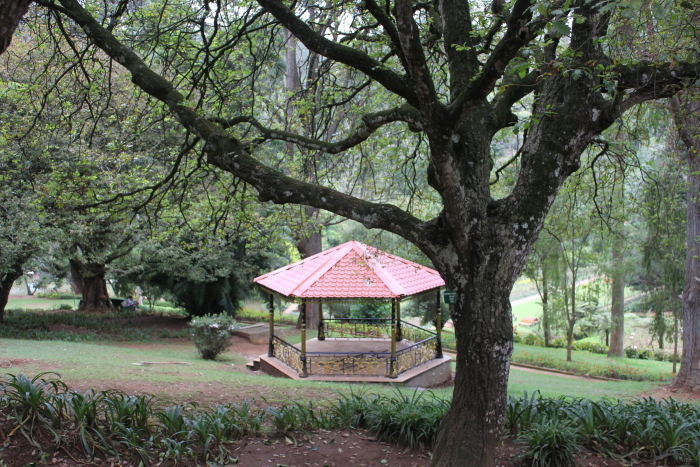 By 1827, Ooty became the official sanatorium and summer capital of the Madras Presidency and remains one of South India’s most favoured getaways. The Nilgiri Mountain Railway introduced in 1899 continues to chug up from Mettupalayam to Ooty via Coonoor, Wellington, Aruvankadu, Ketti, Lovedale and Fernhill. Accorded with a UNESCO World Heritage tag, the leisurely 46km train journey meanders along 208 curves, charming valleys, hills, tunnels and viaducts! 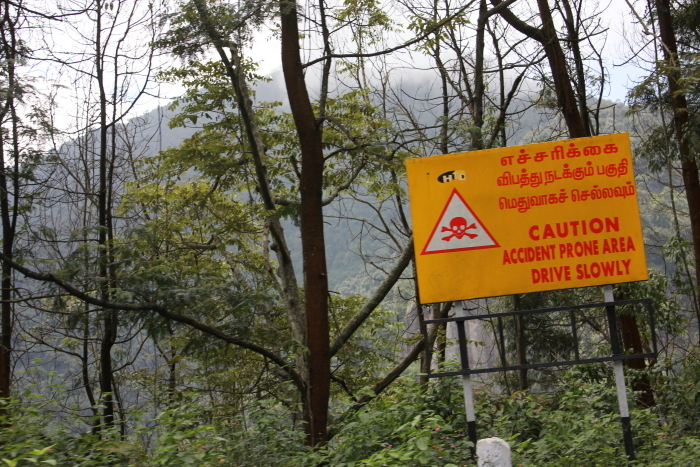 Or opt for an exhilarating drive along hairpin bends. Hike up Doddabetta peak for spectacular views, visit the famous Botanical Garden, Rose Garden and unusual Thread Garden, go for boat rides and pony trails around Ooty lake or spot wildlife at Mudumalai and Mukurthi national parks. Tee off at Wenlock Downs, discover the story of tea at The Tea Factory and Museum or head to Jolly World Lake Park for fun with the family, besides excursions to Kalhatty waterfalls, Red Hills, Emerald Lake and Avalanche. A short drive takes you far from the rigours of mass-tourism to the quieter charms of plantation life in Coonoor. Put your feet up in sprawling old bungalows with vibrant gardens offering unhindered views of lofty peaks and unending green slopes of perfectly trimmed tea bushes. Tune in to the sounds of nature, go birdwatching or savour the scenery from your perch. Hop by at Sim’s Park, a beautiful terraced botanical garden with a fabulous collection of flowers, ferns and trees. Drive up to picturesque spots like Lamb’s Rock, Dolphin’s Nose, Lady Canning’s Seat, Catherine Falls, Law Falls and Katteri Falls. Trek to the erstwhile outpost of Tipu Sultan, the historic Droog Fort known locally as Pakkasuran Kote. Drop by at the Green Shop for a range of items including Toda shawls, Kota stone pottery and organic hill produce such as tea, spices, honey, eucalyptus oil and home-made chocolates. Home of the Kota tribe, Kotagiri was pivotal in changing the history of the Nilgiris when it became John Sullivan’s first base. It was also the place where the Europeans first introduced coffee in these hills before switching to tea. 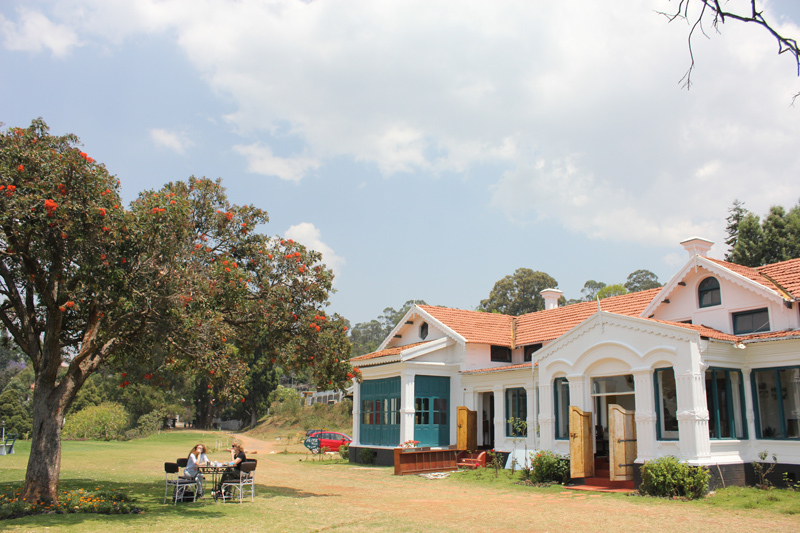 Sullivan’s legacy lives on as his heritage bungalow that houses the Nilgiris Documentation Centre. 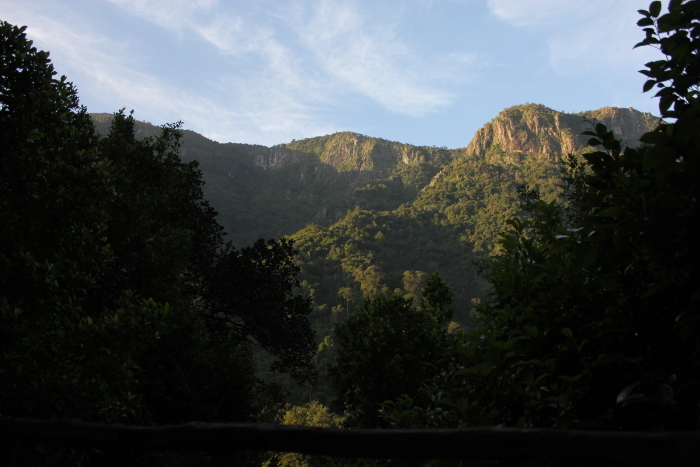 Run by Save Nilgiris Campaign, it is a treasure trove of everything on the Nilgiris. Visit the pristine Longwood Shola forest, the panoramic Kodanand Viewpoint and the sacred Rangaswamy Peak and pillar beyond the villages of Kil Kotagiri and Kadasholai. From five star hotels to boutique resorts, farmhouses, home stays, cottages and colonial bungalows, you are literally spoilt for choice in the Nilgiris. Part of the Serendipity chain, Lymond House in Ooty and 180 McIver in Coonoor are stylish heritage hotels set in a garden with flowering trees with double rooms and garden suites, wooden floors, high ceilings, antique decor and fireplaces. 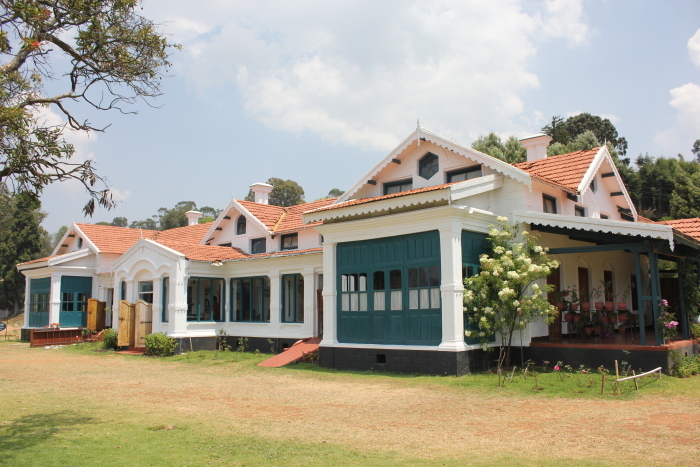 In Coonoor, Tea Nest is a newly opened colonial plantation bungalow run by The Kurumba Village Resort. Wrapped by 1,800 acres of tea estate and lofty hills it lets you luxuriate amidst nature, relish tea-themed cuisine and watch gaur grazing in the tea gardens from the comfort of your patio. Set on a hilltop, La Maison in Kotagiri is a French-run boutique homestay in a renovated heritage villa with décor that blends European and Indian aesthetics. Coimbatore, the nearest airport is 89km away from Ooty. The overnight Nilagiri Express 12671 leaves Chennai Central at 9am and reaches Mettupalayam, the nearest railhead at 6:15am, in time for the toy train up to Ooty. Several buses and taxis ply from Coimbatore, Chennai, Bangalore and Mysore (160km) to Ooty. 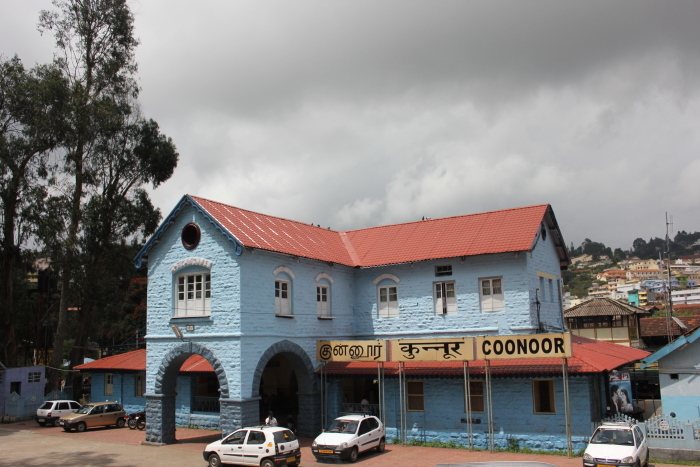 Coonoor is 26km NW of Mettupalayam and 19km south of Ooty, along the curving ghat road NH-181. Kotagiri is 30km east of Ooty, 20km from Coonoor and 33km from Mettupalayam. Authors: Anurag Mallick & Priya Ganapathy. This article appeared on 27 April 2012 in Conde Nast Traveller online. There are many things for which we blame the British – cricket, bureaucracy, railways, tea and anglicized spellings – but the quaint ‘hill-station’ has to be their most charming contribution. From Snooty Ooty in the Neilgherries where the rules of snooker were laid down, to Simla in the Himalayas, where imperial plans were drawn every summer, most hill retreats were ‘discovered’ by British collectors to escape the scorching heat of the plains. Complete with lakes, botanical gardens, pony trails, golf courses, racetracks, bakeries, the ubiquitous Mall Road and scenic viewpoints and waterfalls named after Company officials and British memsahibs, these Little Englands were hailed as ‘Scotland of the East’, ‘Switzerland of India’, ‘Queen of Hill-Stations’ and other grand epithets. Some of these hill retreats were developed into sanatoriums and cantonments of the British Empire, where homesick soldiers found rest and respite. The term Doolaly, Brit slang for ‘gone crazy’, originated in the hill town of Deolali in Maharashtra where recuperating soldiers often feigned madness to avoid being redrafted! Netarhat in Jharkhand, considered the Queen of Chhotanagpur, is supposedly a corruption of ‘Near the Heart’! The cool climes drew European planters to set up vast estates of coffee, tea, fruits and spices while missionaries established educational institutions. With time, these outposts became summer retreats for a vast Indian populace. Lured by the irresistible charm of the swirling mist and eucalyptus-scented air wafting above the sweeping acres of manicured tea plantations, for decades tourists have wound their way up the hairpin bends towards the Blue Mountains. Sprawling bungalows with sloping roofs, monkeytops and vibrant gardens hark back to the colonial legacy of the region while the looming hills cloaked by dense forests are still home to herds of elephant and gaur. If Ooty seems too commercial and Kotagiri somewhat warm, Coonoor is indeed the perfect balance! One of the newest retreats is Tea Nest, run by The Kurumba Village Resort. Surrounded by 1,800 acres of the Singara Tea Estate, the charming colonial bungalow is perched in the shadow of Tiger Hill with its lofty manager’s bungalow and Pakkasuran Hill where Tipu Sultan had an outpost. Relish tea-themed cuisine like tea-mushroom soup and smoked chicken or fish infused in tea, wake up to grazing herds of gaur among the tea bushes or birdwatch from the comfort of your lofty lair. Drop by at Needlecraft in the century old Erin Villa to browse through exclusive petit point embroidery, cutwork and tapestry. Try tea-tasting at the Tranquilitea lounge and buy organic hill produce, Toda shawls and Kota stone pottery at the Green Shop. For complete pampering, surrender yourself to Kurumba’s brand new Jacuzzi suites. With a sweltering coastline, Kerala’s highlands are the ideal refuge – plantation bungalows in Nilambur and Nelliyampathy to Neelambari, the luxurious Ayurvedic hideaway in a pristine corner of Ranipuram. 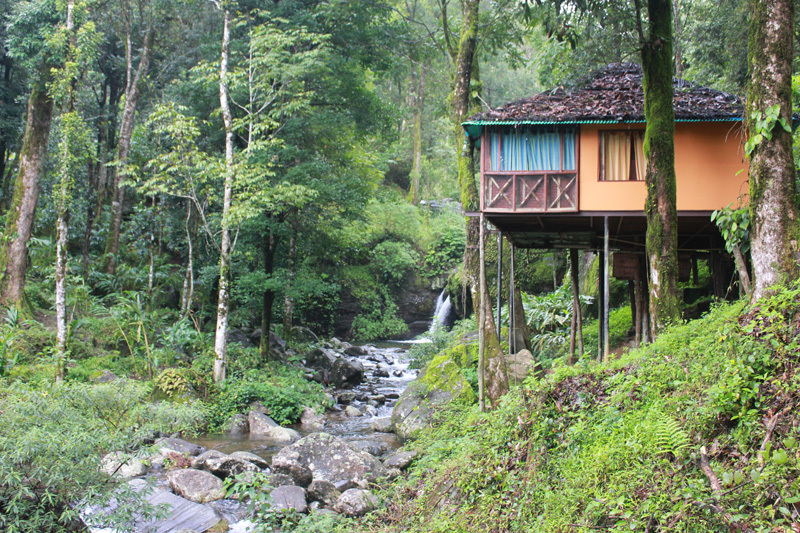 Yet, Wayanad with its rolling hills and profusion of homestays and resorts is a clear winner. Enjoy solitude in a 500-acre plantation left to grow wild at Fringe Ford near Mananthavady. Stay in luxurious tree houses at Vythiri Resort and Tranquil Plantation Getaway, where you wake up to the carefree whistles of the Malabar Whistling Thrush or choose from 14 nature trails within the property. Rekindle romance in a cave restaurant lit in the warm glow of a hundred candles at Edakkal Hermitage and marvel at Stone Age cave drawings nearby. The newest entrant My Garden of Eden, is a premium plantation retreat set in the hilly tracts of Valathoor near Meppady. Don’t forget to drop by at Uravu near the district headquarters of Kalpetta for an astonishing range of bamboo instruments like binsi (a hollow reed that whistles when swung), rainmaker (cascading seeds that emit sounds of the rain) and other innovative products. 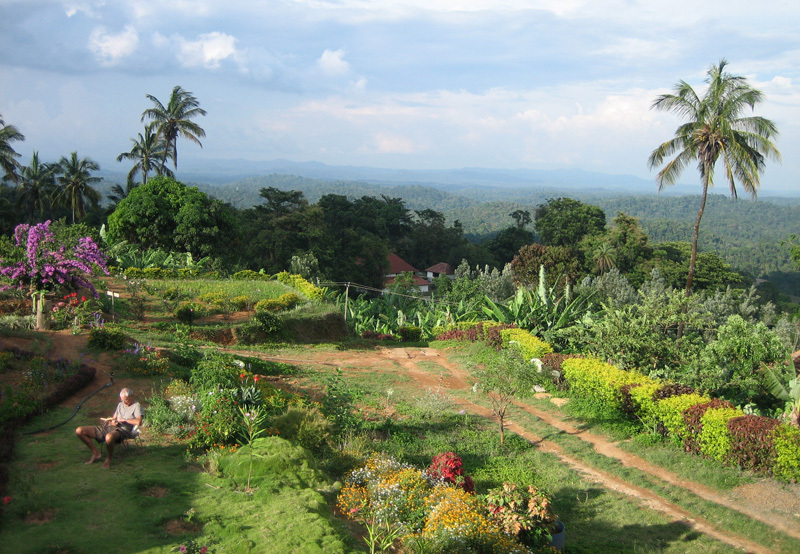 Blessed with nature’s bounty of hills, waterfalls and brooks, Coorg or Kodagu is a paradise that boasts dense forests teeming with wildlife, lush coffee and pepper plantations grown in the shade of rainforest trees, unmatched culture, unique cuisine and the genuine warmth of Kodava hospitality. From rustic and organic homestays overlooking estates and paddy fields to palatial plantation bungalows of the colonial era, Karnataka’s smallest and most mountainous region is also the fountainhead of the Cauvery, South India’s greatest river. Stay at Neemrana’s Green Hills Estate in Virajpet, a town formed after King Virarajendra met Lord Abercrombie to form a historic pact against Tipu, their common enemy. Straddle the Kerala border at Kabbe Holidays and walk along historic trade routes or base yourself at Palace Estate near Kakkabe and trek to Thadiyendamol, the highest peak in Coorg. 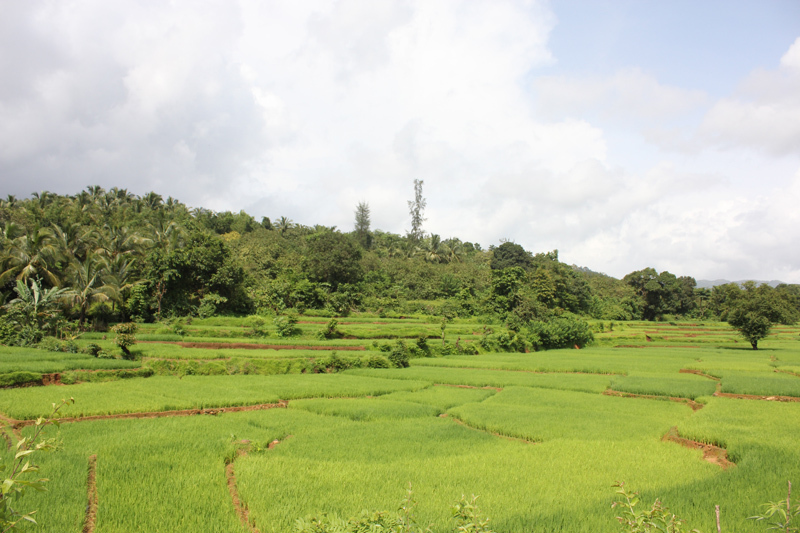 Discover organic farming at the Rainforest Retreat or stay at exclusive heritage homestays like School Estate in Siddapur, Gowri Nivas in Madikeri and Java Mane near Madapur. For a cool splash in streams, choose from a new clutch of homestays like Silver Brook Estate or Bird of Paradise around Kushalnagar or resorts like Amanvana, Tamara and Kadkani River Resort. 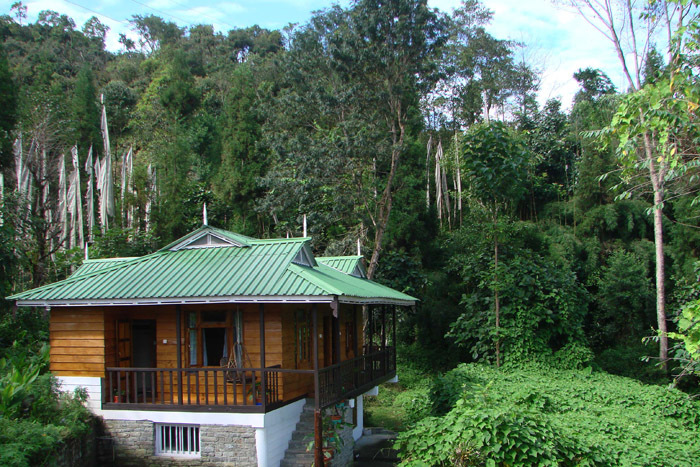 Or immerse yourself in colonial comfort at Tata Coffee’s Plantation Trail bungalows around Pollibetta. If Shimla, Manali, Dharamsala and Dalhousie sound too familiar and you’ve been to Ladakh already, head to the Himalayan realm of Spiti for a change. Abutting the Tibetan highlands in eastern Himachal Pradesh, the region is dotted by some of the loftiest homestays in the Himalayas. Perched above the left bank of the Spiti river are the high altitude villages of Langza, Komic (the highest in Asia), Demul, Lhalung and Dhankar, the site of a crumbling monastery that was the first to be built in Spiti and as per legend will be the last to fall. 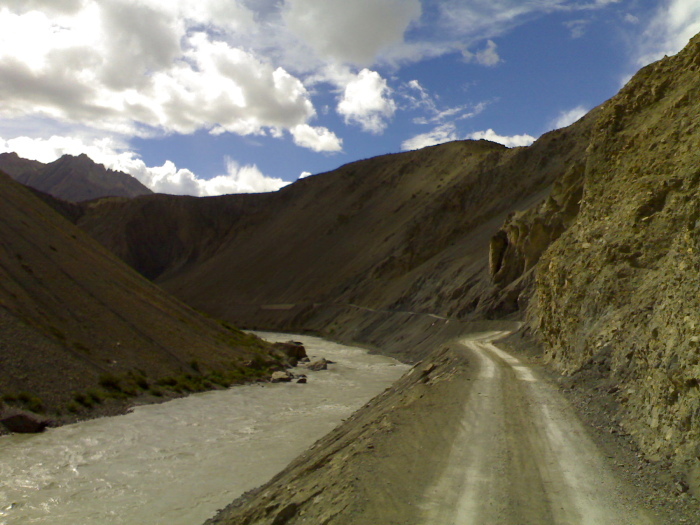 Plan a tour with Spiti Ecosphere to uncover a mystical world of gompas (Buddhist monasteries), amchis (traditional medicine men), Bon traditions (animist religion preceding Buddhism) and unique experiences like the Tibetan Wolf Trail, protecting fossil sanctuaries, Yak Safaris and River Rafting. For a more inclusive experience, participate in rural development projects in this remote and rugged region as you watch locals involved in eco livelihoods like hand-woven handicrafts and organic products available under the brand name Tsering (blessing in Tibetan). Unobstructed views of the Himalayas often stretching across 300 km, stunning high altitude lakes and mythical tales of the divine infuse Uttarakhand with untold magic. The period when the mountains are awash with the fiery glow of rhododendrons leaves every visitor spellbound. Explore the Lake District of Nainital, a reflection of the emerald green eyes of Sati, the majestic Bhimtal and Sat-Tal and the nine-cornered Naukuchiyatal that bestows everlasting bliss on the beholder. 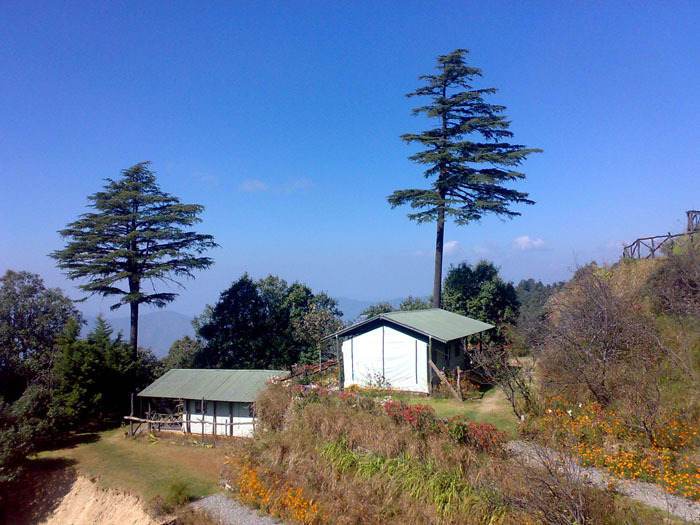 Follow the high mountain road to Ranikhet and Majkhali or hike from Nainital to Corbett through forests of broad-leafed sal, oak and deodar, while staying at jungle lodges or century old Forest Rest Houses. Beyond the hill town of Almora, lies the quaint hamlet of Kasar Devi, where spiritual masters, artists and beat poets sought inspiration while Binsar doubles up as a wildlife sanctuary and a hill station. 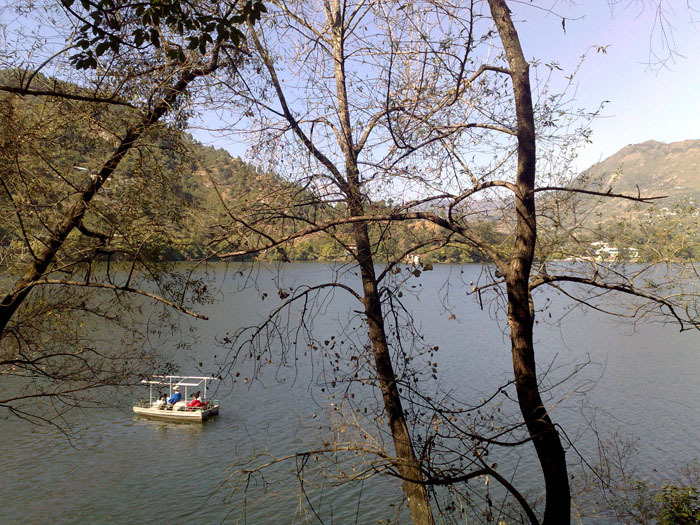 Scenic homestays like Valley View Villa near Ranikhet, The Cottage at Jeolikot, Emily Lodge at Nainital, Emerald Trail at Bhimtal and a chain of resorts by Leisure Hotels across Kumaon and Garhwal offer an assorted bouquet of options. The signature jams, pickles, preserves and flavoured honey available under the Kumaoni label and warm woolens can be picked up at Umang, a local co-operative. A delicious nip in the air along undulating roads and strains of retro music emanating from cafés and mobile phones announces Shillong, touted as the Rock Capital of the East. Picture postcard images unfold in scenic churches, old schools and hill slopes swathed in green. Relive colonial grandeur in sprawling bungalows like Rosaville and the regal Tripura Castle or soak in the luxury of Ri Kynjai resort overlooking the shimmering Lake Umiam at Barapani. Watch locals wager on the age-old game of teer (archery) in the market area, marvel at the dazzling collection of beetles and butterflies at a private museum and savour delicious Khasi cuisine in homes and tiny hotels like Trattoria. Unfold the secrets of ancient root bridges, sacred stones and lonely waterfalls in Mawlynnong, the cleanest village in Asia and at the rain-drenched paradise of Cherrapunjee, track the Dark Rumped Swift swooping along the misty cliffs of Nohkalikai Falls. In this Abode of Clouds, there are other surprises – the surreal limestone contortions of Mawsmai Caves, the sacred groves of Mawflong, fish spas in natural pools and even a Double-Decker Root Bridge! The Konkan coast of Maharashtra can rejuvenate your senses in a delicate fusion of nature, peace, solitude and simple pastoral life. From the irrepressible joy of eating luscious Ratnagiri mangoes to golden sunsets along the sea-kissed beaches of Kashid and the historic sea fort of Murud-Janjira to the north and Ganpatipule, Devgad, Sindhudurg, Tarkarli and Sangameshwar stretching to the south. Just off the coast, choose from a host of homestays like Atithi Parinay, Nandan Farms and Dwarka Farmhouse that offer special experiences of farm life. Relish flavours that range from the subtle sattvik fare of Saraswat Brahmins to the spicy indulgence of seafood and Malvani cuisine. Pick up hand-painted pieces of Ganjifa Art at the Sawantwadi Palace or lacquerware toys from Chitaar Ali (Artisans Lane) before driving up to Amboli Ghat. If this is not enough, head north to the high hills of Lonavla, Matheran, Mahabaleshwar and Panchgani for breathtaking views and local specialties like chikkis, sweet corn, homemade chocolates and fudge. Far from the psychedelic beach scene of North Goa, serpentine roads lead south to the quieter shores of Canacona and Palolem. Just beyond the main bus stand lies a 12,000 sq ft oasis called Turiya where you can experience a legit mode of mind expansion! Inspired by the fourth state of consciousness, the newly opened 100-year-old yellow Portuguese villa draped by bougainvillea creepers houses a spa offering authentic Ayurvedic and western therapies. Renovated by a well-known architect, the impeccably furnished Turiya exudes a sensual lazy charm with delicious home-cooked food and a cozy verandah overlooking a garden twittering with birds. Personalized visits to the local market for fresh fish and nearby farms to hand pick your choice of vegetables make the holiday unique. If you can drag yourself out of the armchair, there’s Palolem beach just 2km away with bistros and boutiques or the serene Agonda Beach 10 km north, boat trips to Butterfly Island and the promise of dolphin sightings, day trips to Cotigao Wildlife Sanctuary and Karwar (Karnataka), besides some of the most scenic trekking trails in South Goa. Surrounded by tea plantations and cradled in the lap of the mighty Kangchenjunga mountain, Darjeeling’s allure has always inspired poets, writers and filmmakers besides scores of tourists to roost upon its cool slopes. Visit local factories to taste the eponymous Darjeeling tea or take a ride in the UNESCO World Heritage train, the Darjeeling Himalayan Railway (DHR) up the Batasia Loops to Ghoom. Apart from a slew of resorts and plantation bungalows, you can check in at the unique Beatles theme lodge, The Revolver, with rooms named after John, Paul, Ringo and George! A more plush option is Mayfair Darjeeling, the erstwhile palace of the Maharaja of Nazargunj. Their newest offering, the ritzy Mayfair Spa Resort in Gangtok fuses a monastic theme with colonial architecture and has raised the bar for luxury in the North East. While in Sikkim, the land of prayer flags and chortens, visit Buddhist monasteries at Pemayangstse, Rumtek and Tashiding and experience the warm hospitality of heritage homestays like Yangsum Farm at Rinchepong, Mayal Lyang at Dzongu and Bon Farmhouse, a birding haven at Kewzing. It is hard to imagine that a notorious penal settlement of yesteryears is today a tropical isle of pleasure. While the remoteness of the Andaman Islands has worked in its favour, its sparse population and laid back charm accentuates the privacy one seeks on a holiday. Located 1000km east of the Indian coastline and fringed by coral reefs and a palette of crystal clear blue waters, the islands are among the finest beach getaways and diving destinations in the world. Take a trip into history in the triad of Port Blair, described as India’s only ‘warm hill station’, Viper Island and the ruins of Ross Island once praised as the Paris of the East. Sunsets at Chidiya Tapu and Mount Hariett, snorkeling above iridescent coral reefs at North Bay and Wandoor, deep sea diving and sport fishing around Ritchie’s Archipelago are not to be missed. Havelock, the main tourist hub bristles with resorts and diving experts like Barefoot Scuba, Dive India, Laccadives etc. 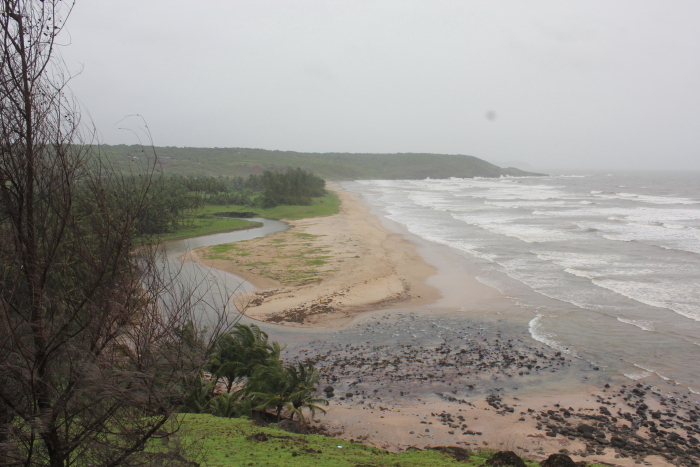 Visit during April-May as the waters become murky once the monsoons set in. 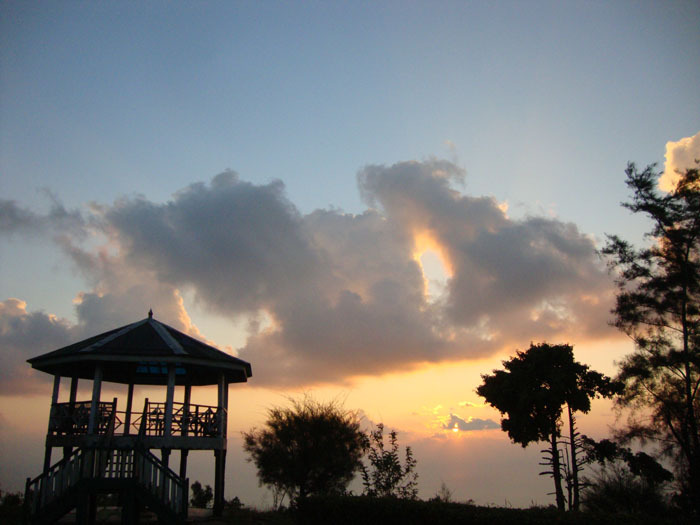 Grab a tan at Radhanagar Beach, ranked by Time magazine as the best beach in Asia. Scenic Neil Island nearby has a subdued ambience and rustic stay options, making it an offbeat outpost. Besides regular boat access between the main islands, the swanky Makruzz cruise zips across 50km from Port Blair to Havelock in just 1½ hours! Authors: Anurag Mallick & Priya Ganapathy. This article appeared on 8 April, 2012 in Deccan Herald (Sunday edition).